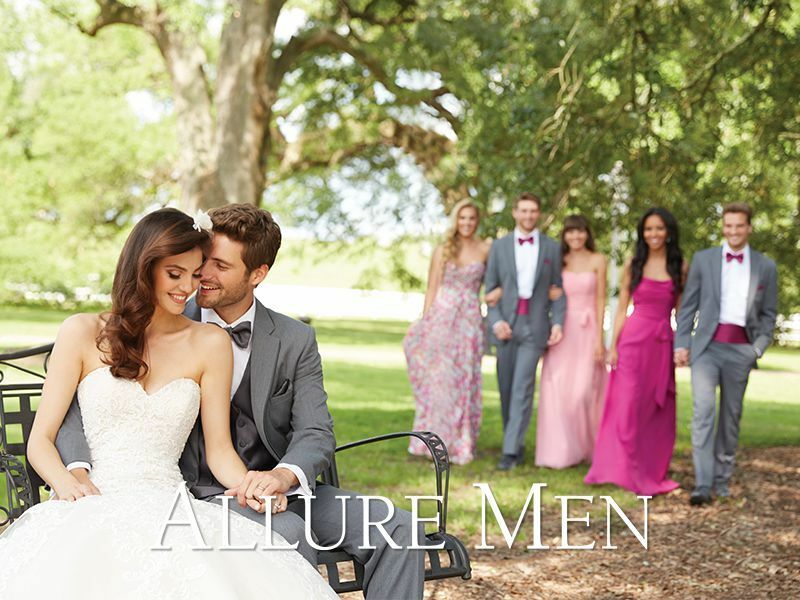 The Steel Grey Allure, Slim Fit tuxedo by "Allure Men" was expertly created in response to the growing demand for an elegant charcoal grey tuxedo. The notch lapels on the coat are self material with a thin satin trim around the edges. Other features include a single breasted two button front, flap pockets and side vents. 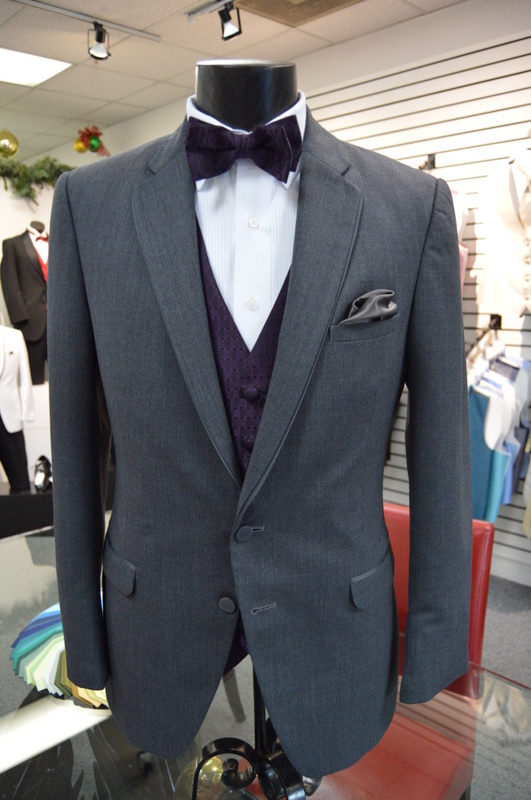 This fashionable tuxedo is perfect for your wedding, prom or other formal function that calls for a modern take on style and fit.